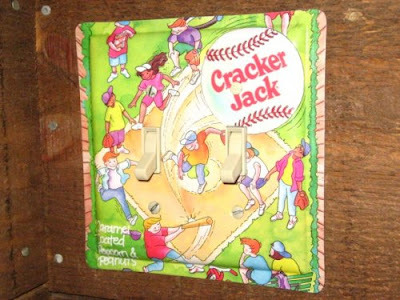 Why do managers 'double switch', and just what is a double switch in baseball? The reason for the double switch is to bring a new pitcher and another position player into the game at the same time, but their positions in the batting order are switched so that it takes longer for the pitcher to come to bat again. For example, let's say the 8th hitter (right fielder) makes the last out of the inning. To do a double switch, a new pitcher would be brought in with a new right fielder. The pitcher would occupy the 8th batting position and the left fielder would bat 9th and actually lead off the next inning. If the manager did not 'double switch', the pitcher would have to bat first when his team came to bat again. Even though double switching takes place when a team is in the field, it is really a valuable offensive tactic. Bobby Cox employed the double switch tactic Monday night, bringing in a new pitcher and center fielder, taking out the left fielder and moving the starting center fielder to left. The new center fielder batted in the pitcher's spot and promptly got a hit in the Braves 9-3 victory over the New York Mets.